If you’re reading this, the likelihood of you not knowing of Debbie Rochon is extremely low. But, to err on the side of you not being very hip (let’s get with the program, people! ), Rochon is indie horror royalty. She’s the queen as it were. From her roles in several infamous Troma flicks in the mid-‘90s to her work as a radio personality and columnist throughout the following decade and beyond, Rochon has been a self-realized media force for nearly a quarter-century. Her unmatched New York indie-exploitation bona fides and her serrated wit make Model Hunger one of the most anticipated directorial debuts this writer can recall. Lucky for you, July 12th is right around the corner. Watch Ravenous Monster for our review coming soon, Horror Fans, but until then you can read the full press release from Wild Eye Releasing and catch the trailer for Model Hunger below…. 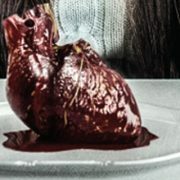 New York, NY – Wild Eye Releasing is honored to put legendary horror actress Debbie Rochon’s directorial debut Model Hunger on the menu this summer. After nearly 300 films, Rochon (Return to Nuke ‘Em High, Phobia, The Theater Bizarre) steps behind the camera to skewer audiences with her blood-curling take on an actress’ response to forced retirement. She brings with her composer Harry Manfredini (The Friday the 13th franchise) and a cast of genre favorites. B-movie legends Lynn Lowry (Shivers, The Crazies, Cat People) and Tiffany Shepis (Tales of Halloween, The Violent Kind, Sharknado 2) headline as two women on a deadly collision course. Supported by Brian Fortune (Game of Thrones), Suzi Lorraine (Wrath of the Crows) Carmine Capobianco (Galactic Gigolo) and Voltaire (ABCs of Death 2), the feeding frenzy begins July 12 nationwide on DVD and Digital HD. Former pinup model Ginny (Lowry) had been cast aside by the heartless and exploitative modeling industry. Ginny didn’t take rejection well and grew into a revenge-seeking, bloodthirsty, broken woman. When her new neighbors Debbie (Shepis) and Sal (Capobianco) move in, Debbie begins to notice strange things going on. Sal believes she is mentally unstable, but Debbie becomes determined to figure out what secret life Ginny is leading. Her new nosy neighbor throws a damper on Ginny’s private life: her cannibalistic addictions and ever-growing body count. Both women become determined to put an end to the other’s obsession. The DVD release of Model Hunger (SRP $19.95) will exclusively include a feature-length commentary with director Debbie Rochon, deleted scenes, a Babette Bombshell short, Voltaire interview and much more.